In the hand, this thing makes me think it was Colonel Mustard in the study with the HiRise Duet. Unlike plastic stands that get dragged across the nightstand from the weight of the power cord, the all metal HiRise Duet stays put. It’s definitely got sturdy weight to it, which is great considering you’ll want your iDevices to stay put and safe. 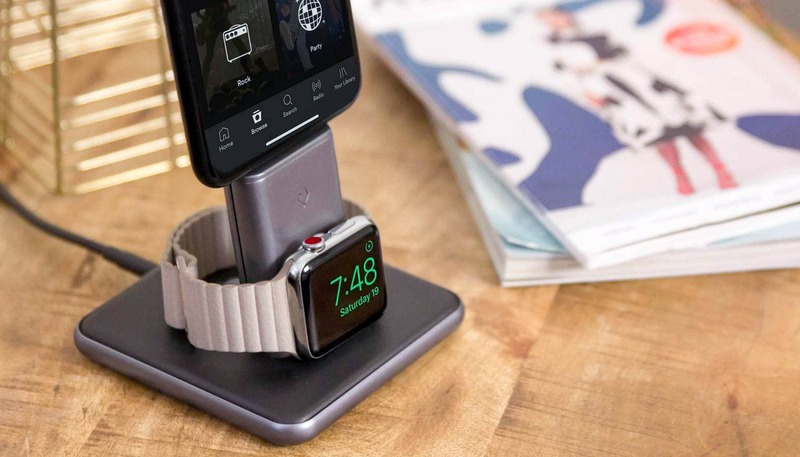 Made from sleek metal and accented with supple leather, this elegant stand includes its own integrated Lightning Connector and Watch Charging Disk, so you never have to search for cables again. I have a case on my iPhone X, and Duet still works and fits perfectly. You won’t have to worry about Qi compatible iPhone cases here. Plus, Twelve South’s design is thoughtful and efficient. To protect your watch, the base is lined with a soft layer of premium leather — a miniature thrown for your precious wearable. My favorite perk about this stand is its display design. It holds Apple Watch on its side, which automatically turns it into a bedside alarm clock, with the crown serving as a snooze button. It makes the morning struggle to hit snooze dangerously easy. I can peek at the time via nightstand mode on Apple Watch or effortlessly check important notifications on my iPhone with a glance before sneaking in a few extra minutes of sleep. 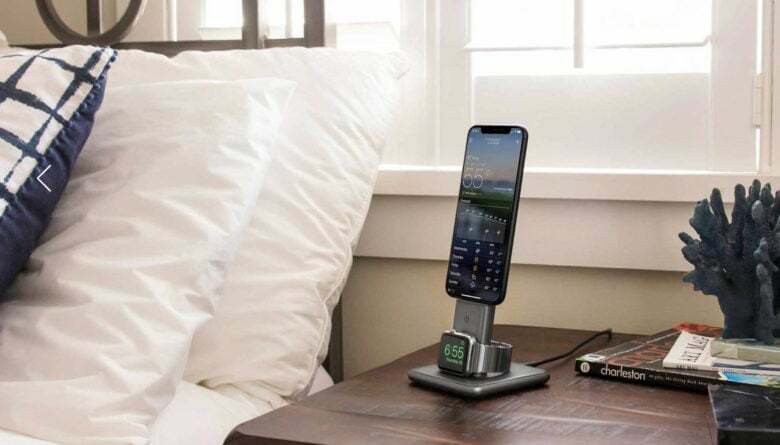 With everything you need in one space, HiRise Duet is the ultimate charging companion that is compatible with all your iDevices including the iPhone XS, XS Max, and XR. Grab yours now before it sells out!